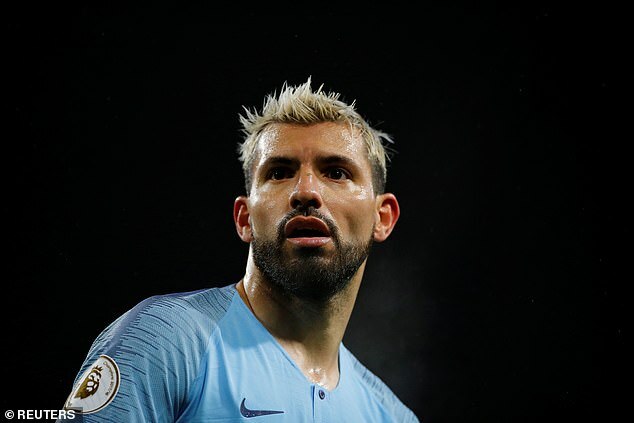 Pep Guardiola revealed Manchester City feel like ‘teenagers’ in the Champions League – and claimed the club’s supporters are beginning to enjoy the competition. 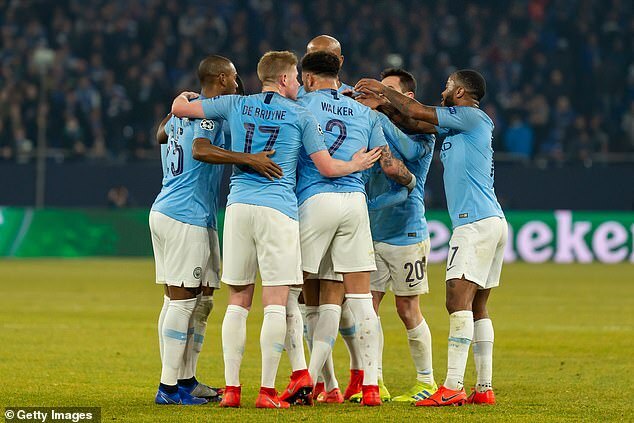 City should progress to the quarter finals this week, heading into Tuesday’s home second leg against Schalke with a 3-2 lead. 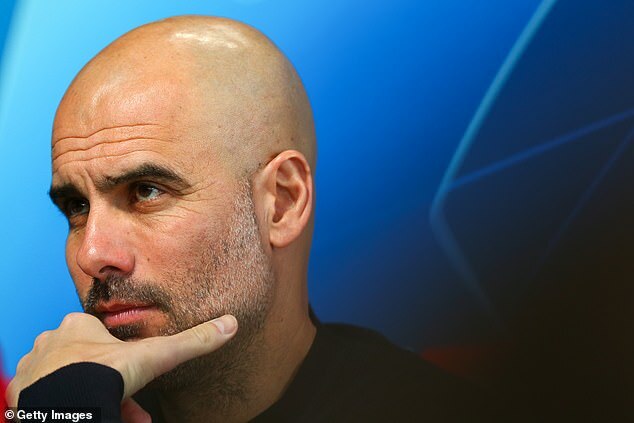 But Guardiola believes the Premier League champions remain way behind some of their continental rivals who boast a long, successful history in Europe. ‘I think to compare (us) with those teams – one (trophy) doesn’t change it – we are teenagers in this competition,’ Guardiola said. ‘That’s what I feel. We could win, we could make another step. You need 20 or 30 years. Of course we cannot deny that arriving in the last stages is being able to make another step forward. ‘This is not excuses. We want to win it. We push ourselves. The best way is to feel this kind of pressure. If we don’t make the latter stages, to think ‘nothing happened’ just because of our history is not the way. You have to dream and point as high as possible. City’s fans are set to boo the Champions League anthem vociferously on Tuesday after UEFA confirmed they had opened an investigation into the alleged flouting of Financial Fair Play regulations. Guardiola, though, claimed that the home supporters are starting to see the value of the competition. ‘I think the last time there were less boos. Now people starting to enjoy this competition,’ the City manager added.